Do you always find yourself stuck in the middle of two bickering kids who fight over a missing earphone at home? I always do. And it freaks me out. So, I guess this mom needs to buy a couple of earphone holder and organizer to (hopefully) end the “earphone war” between kids. These are available in selected National Book Store branches for P69.75 each. 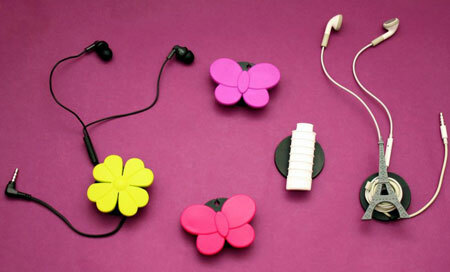 This entry was posted in Fab finds and tagged earphone, earphone holder, earphone organizer on February 20, 2013 by Mommy Yam.